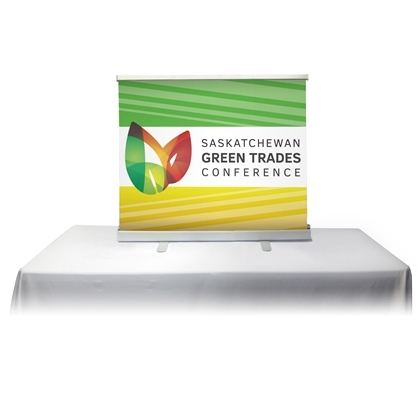 This 45'' Table Top Retractable Banner Stand is the perfect banner stand for any trade show or exhibit event. This banner stand extends up to 34'' with your customize printed full color graphic on vinyl. 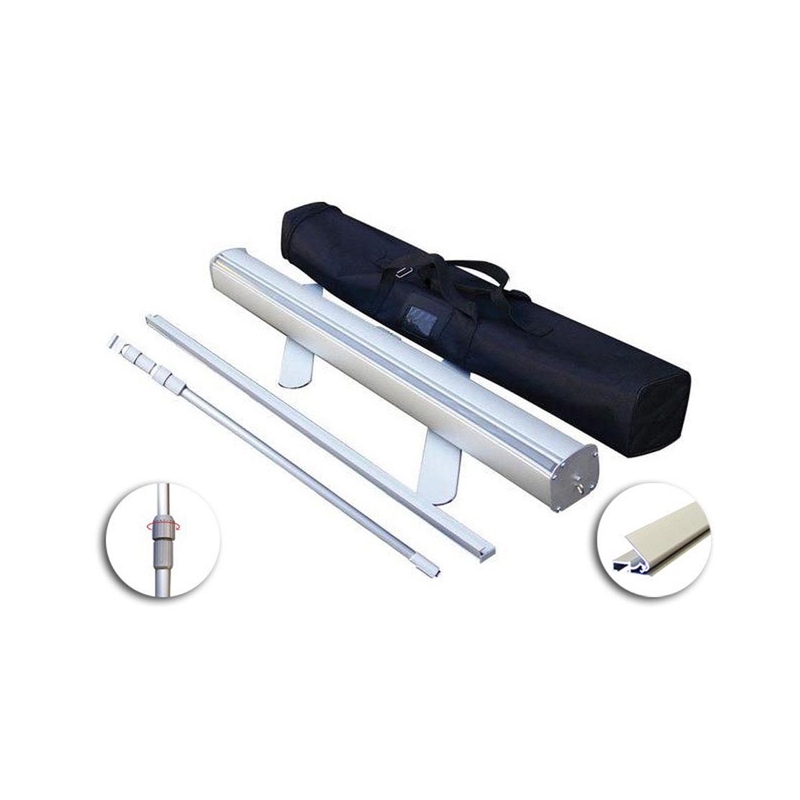 It can be easily set up in seconds and your graphic is safely stored inside the anodized aluminum casing for future use. Order now and receive a nylon traveling bag absolutely free! For all orders that involve printing a banner or canvas, there is a turnaround time for us to print and install the graphics. The standard turnaround time for any order is 2 business days. This means after you place your order and send us an approved image ready for print, there is a 2 day processing time before your order can be shipped out. Please keep this in mind when making your purchase. 45''x34'' graphic display area provides the perfect display for any tradeshow.